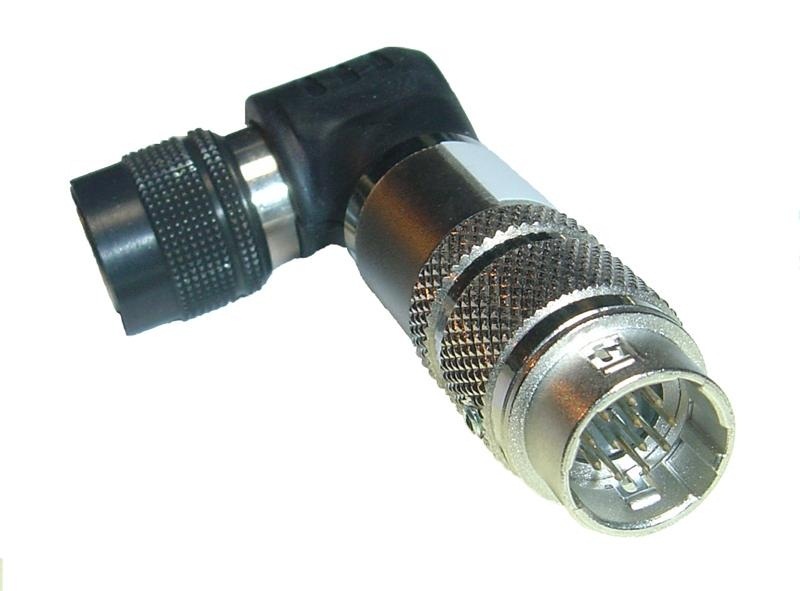 12 pin L Style Adaptor:ADP-LL-01 Left Side Direction! 1 in Stock, Ship in next business day! ADP-LL-01 (Left Side Direction) Elbow Connector adapter good for all Hirose 12 Pin CCD Cameras and Lens. All parts RoHS Compliant and Quality Genuine! Our Adapter Good for Automotive Industry , Medical Device Industry , Machine Vision Industry. Audio Visual Equipment, Computer Peripherals, etc. Designed to angle toward 8 different directions! Downlad more standard HR10 Specifications here (1MB) for your reference. Standard Coupler Cable Length 0.3 Meter Good for all Hirose 12-pin CCD Video Cameras! Ask about custom length availability!